Kathryn Davis (1946) has been telling a version of the same story since she was seven years old. “The Silver Sledge” describes an impossible journey; she wrote and illustrated it and then spent many years trying to figure out whether she wanted to be a painter or a writer. She knew she couldn’t be both since she has never been able to divide her attention (which is why she has only one child, a daughter). In the end her love of the novel—that bewitching, endlessly mutable form—won out. She has published seven of them: Labrador (1988), winner of the Janet Heidinger Kafka Prize for fiction by an American woman; The Girl Who Trod on a Loaf (1993), Hell (1998), winner of the Morton Dauwen Zabel Award from the American Academy of Arts and Letters, The Walking Tour (1999); Versailles (2002); The Thin Place (2006); Duplex (2013). 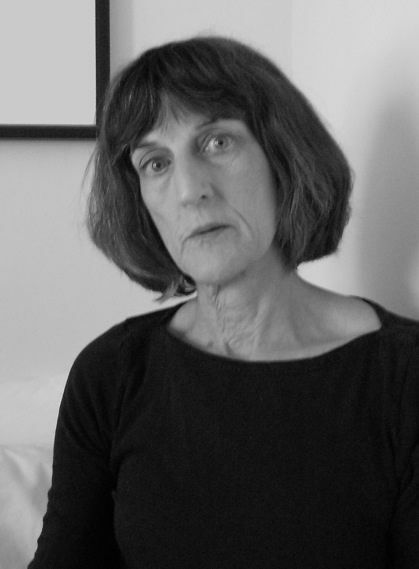 She received a Guggenheim Foundation Fellowship in 2000, and the Lannan Literary Award for Fiction in 2006. Currently she teaches in the MFA program in fiction at Washington University, where she is the Hurst Senior Writer in Residence. Mothership: One of the questions driving your work is the paradox of embodiment. Matter and spirit, spirit as matter, matter flowing in time, ever disheveling, to put it nicely. Hard to find writers addressing this question of body/soul, as it can only be approached out of corner of the eye. Your work inhabits these “thin places,” places between life/death/body/soul. In Labrador, in the breathtaking creation of the angel Rogni, you perfectly rendered a between-space that accomplished something really rare in writing: You gave form to that hard-to-grasp paradox of form-and/as-emptiness. That scene reminds me of some thoughts on kami that I think about all the time, from Seigow Matsuoka’s essay, “Aspects of Kami” in the Cooper-Hewitt exhibition catalog MA: Space-Time in Japan. From this comes a number of questions for you. Questions about how words not only make a world on the page, but point to something beyond the world; questions about the precision of your shapeshifting mind; questions about the page as this energized space of betweenness, where kami can arrive—and what you do there, what you called over coffee last week, a transition, a “jump.” Can you talk more about the jump? Kathryn: I’m not a mathematician. I lost my interest in mathematics in junior high school, following the crushing disappointment of imaginary numbers. Instead of paying attention to whatever it was Mrs. Rudnytsky was trying to teach me, I spent every class period doggedly attempting to trisect an angle with a compass and a straight edge, something she had told us was impossible. The challenge of doing the impossible appealed to me; otherwise mathematics seemed like an exercise in futility, a dreary discipline based on solving problems that had already been solved. I can’t remember when I first encountered the area of mathematics called topology; I think it must have been years ago when I was teaching a class on speculative fiction at Goddard College, and had my students read a book called Problems of Space and Time. To a topologist, space is bendable and stretchable (though it can’t be torn or glued.) A human body can be made to contain an entire universe, if you think of the body as a tube with an opening more or less at either end, and then imagine stretching the tube infinitely outward and back on itself, creating the donut shape referred to as a torus. I suppose this is as good a way as any to describe what it is I want to be able to do with words on a page. Right now I’m writing about a group of people who somehow turn out to have been walking on the same trail (that French section of The Way of Saint James I walked on last summer) without actually having been walking on the same trail but on trails that seem, somehow, the same; eventually they all end up in the same place, which is nowhere near France. This can happen if we consider space to be infinitely elastic and stretchable. One of the people in the group is a topologist. She is obsessed with solving the “provably unsolvable” continuum hypothesis—an attempt to answer that most basic question of how many points there are on a line, though the question gets complicated by the presence of possible infinities between an already infinite number of countable points. The place where I understand this —because I certainly don’t understand this in my rational brain—is in the place of transition. I understand this in the empty place that isn’t empty. In the place of Kami, the abstract time-space god. The amazing thing about writing is that you can make the impossible possible. You can trisect the angle, solve the continuum hypothesis. You can do this because even though you’re working with two-dimensional marks on a two-dimensional page, the point of engagement that occurs between you and a reader occurs in the boundless, mapless territory—in the possible infinity between two points, two words, two sentences, two paragraphs—that constitute the reader’s and your imagination. MS: And my next question was about how you use the elastic magic of the page to outfox time, but I’m also thinking of some notes you left with me after we met. You wrote “trail” in the margins, and “Thule,” which looks to be a magical zone/idea of north. And on that note, we talked childhood objects of power, strange attractors that transfix us, talismanic things that stay in the roots of us, shaping how we see. Kathryn: I love the phrase “outfox time.” I’m attracted to the word “fox.” For a long time I’ve wanted to call a book False Foxes, after a folksong from the British Isles. (“Where was I last Saturday night? Up in the ivy tree./ False foxes under me/ Digging a hole to bury me./ One had a shovel, t’other a spade/ The one that had nothing was heaviest laid…”) For reasons I don’t fully understand yet, the idea that having nothing might prove the heaviest burden appeals to me, as does the idea that something that appears to be a fox might actually be something else—might be, for example, the engineer of one’s mortality. The book I’m writing now, to my uneasy surprise, seems to have foxes around every bend. That is, there was a fox lurking in a tunnel in a part of it I wrote long before I knew what it was I was writing, as if some element of “plot”—that aspect of fiction that has its deepest and darkest and most elusive roots in time, in the way time rules our lives no matter how diligently we try to outfox it—already existed. The fox in the tunnel is hard to see, though even the briefest glimpse shows her to be supernally beautiful. She is also impossibly vicious, her bite lethal, her will bent on destruction. Did my love of the word—fox! fox!—summon that spectre? To love a word is to love a thing that is real and not real, that is deathless and endlessly mutable. One of her kind has turned up elsewhere in the book in the form of a tippet worn ouroboros-like around a stylish woman’s neck, the fox’s teeth biting its own tail. My Aunt Helen, a stylish woman, wore a fox-fur tippet; my memory of that fox’s shining teeth and bright tiny eyes is clear as crystal, though Aunt Helen died right after I was born. MS: Another tunnel or portal or site of transmission happens in those rare encounters with powerful art. What space/object comes to mind when you think of art that transformed you? “My end is my beginning and my beginning is my end”—I first heard that rondeau by Machaud over fifty years ago in the music room at Germantown Friends School. Miss Brewer slipped the record from its sleeve and set it delicately on the record player, the music conjuring a vast hollow space all around itself as if we had been transported into a cathedral. When I returned to GFS this past May for my fiftieth high school reunion the room was remarkably unchanged, right down to the treble and bass clef staff lines imprinted directly on the blackboard (and below it, likewise unchanged, the room where I had stopped paying attention to Mrs. Rudnytsky over fifty years ago). Of course the record player was gone. All the record players are gone, including the one in John Story Jenks Elementary School on which Mr. Fine, my sixth grade teacher, played us “The Ride of the Valkyries.” Then, too, the music generated a space around itself, an immense northern sky, and those spaces—that space—are not gone but are still in me, too huge to be contained and yet, still, containable. To walk on a trail is to walk on a line. The line might go up or it might go down or it might bend right or it might bend left. It might even shoot you off in a different direction momentarily, into a moist, ill-lit chapel smelling of melted beeswax, or a boulangerie smelling of yeast and Gauloises. After a while you might come upon a wayside cross practically invisible under all the blue plastic rosaries heaped upon it by the pilgrims who got there before you. The rosaries are the ones the bishop in the cathedral at Le Puy distributes to everyone who comes to be blessed by him before starting out. The rain has just stopped but water still drips off an overhanging tree onto the cross and the rosaries, making the blue plastic beads glisten like precious stones. Here you are. Here you are on this single, small point. But still you are walking on a line that goes on forever, carrying inside you an infinitude of space.